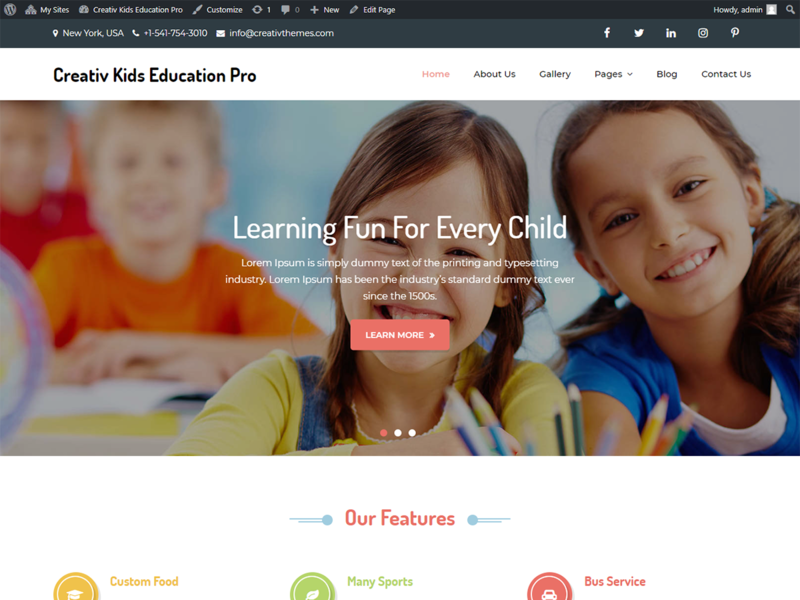 Creativ Kids Education Pro is a colorful and cheerful WordPress theme created for the kindergarten, daycare, preschool, arts & crafts classes, college, university & all educational institutions. This theme includes a fascinating homepage, vibrant colors, attractive icons and much more. This theme also has One Click Demo Import Feature which makes the theme setup much more convenient.